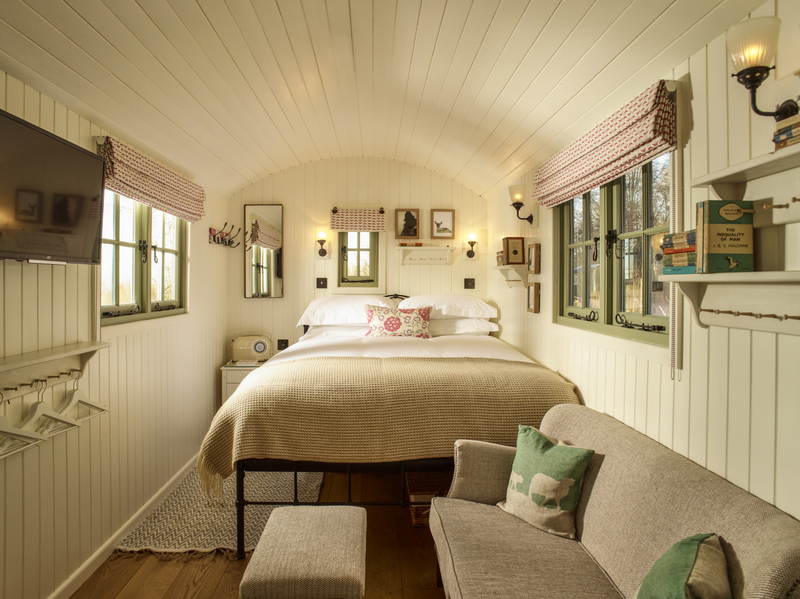 The Fish, the boutique hotel on the Farncombe Estate in the Cotswolds, has announced the launch of five new ‘Hilly Huts’, which will officially open their doors in February. ‘Luxury meets the great outdoors’ has been the inspiration for the new huts, with each one offering comfortable beds, a wood-burning stove, plus an outdoor decking area with a chiminea. Each Hilly Hut also has its own private hot tub and room service can be delivered via golf buggy. The huts are set on the 400 acre Farncombe Estate, which is also home to Dormy House and Foxhill Manor in Broadway. The huts are just a short walk from the main lodge The Fish, and guests can make full use of the restaurant, games room and bar area. The huts have been hand-crafted by local Wiltshire company Ashton Shepherds and are based on an original Victorian design, a nod to how the huts were first used in the 16th century.